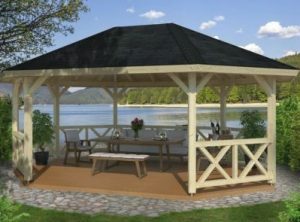 The Lucy 12.2 Gazebo Full Size: 3.49m x 3.49m Height: 2.54m No Floor supplied. 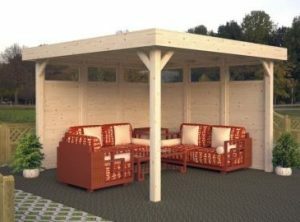 Constructed with 120mm x 120mm laminated wood posts. Kit Price inc. vat: £975.00 Please call for roofing options and price.